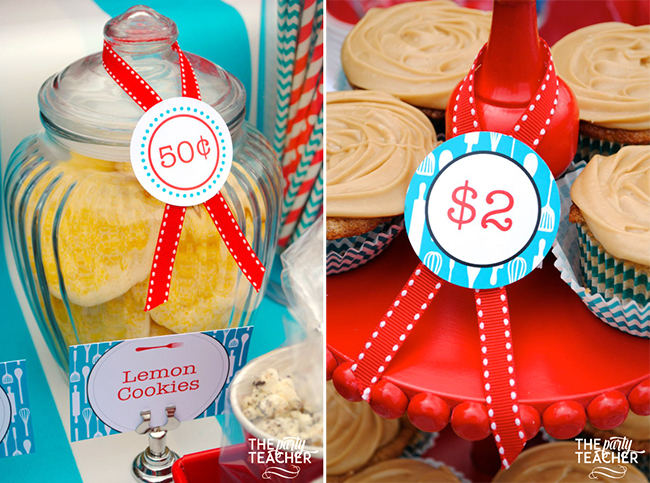 Recently, Jennifer of The Party Teacher and her daughters held a special bake sale. 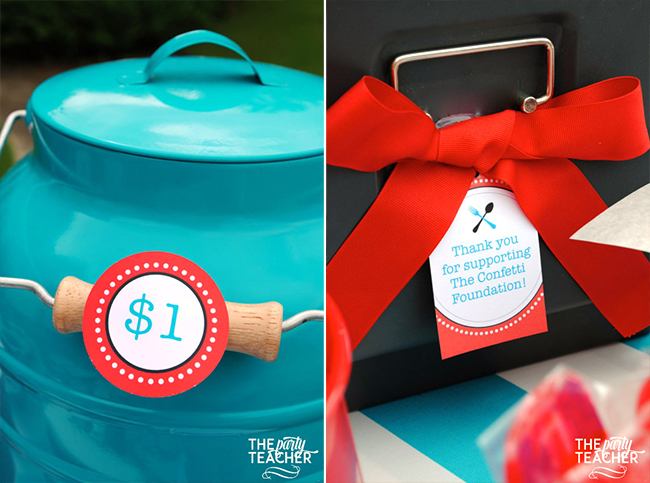 It was special because (1) it was really pretty and (2) the proceeds were generously donated to charity! 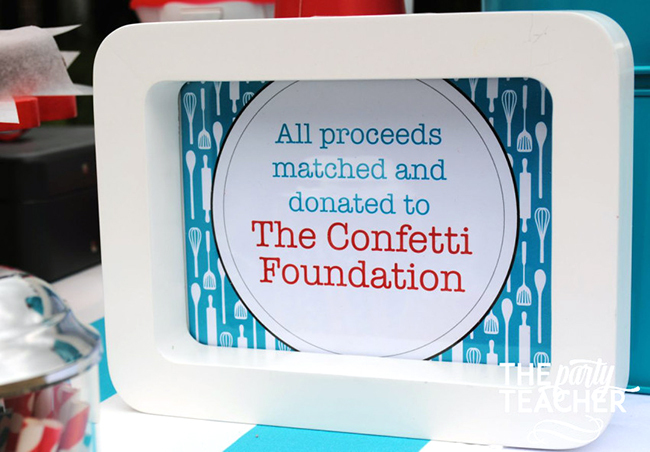 The group that benefitted from the bake sale is The Confetti Foundation, which provides birthday party kits to children who spend their birthdays in the hospital. 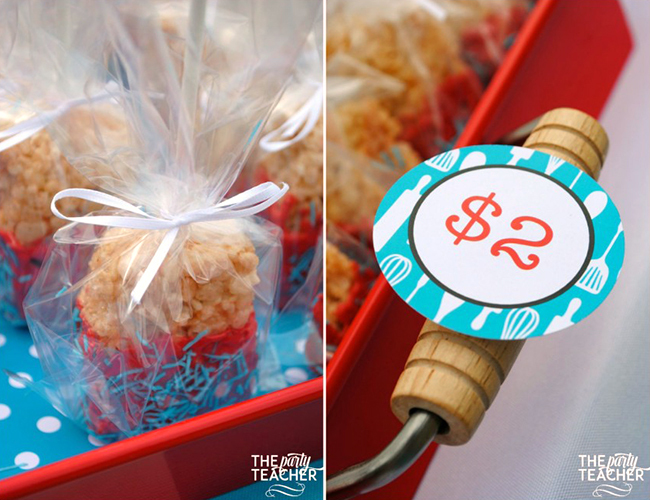 A “bake sale” banner was hung on red ribbon, which matched the adorable red pom pom table runner trim! 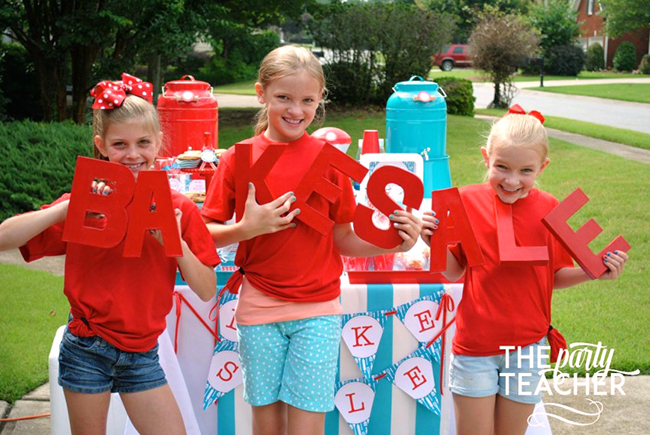 The “bake sale” letters were made from paper mache letters (you can find these at craft stores). 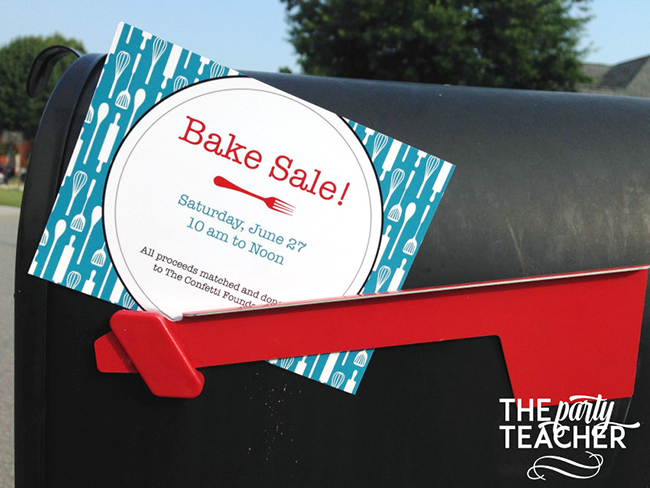 Jennifer printed 50 bake sale invitations and put them in neighbors’ mailboxes. 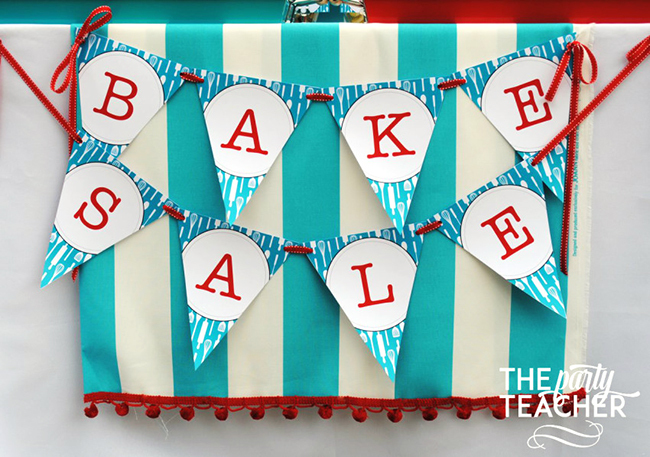 The bake sale treats included peanut butter cup cookies, dark chocolate brownies, lemon cookies, Oreo popcorn, and salted caramel cupcakes. 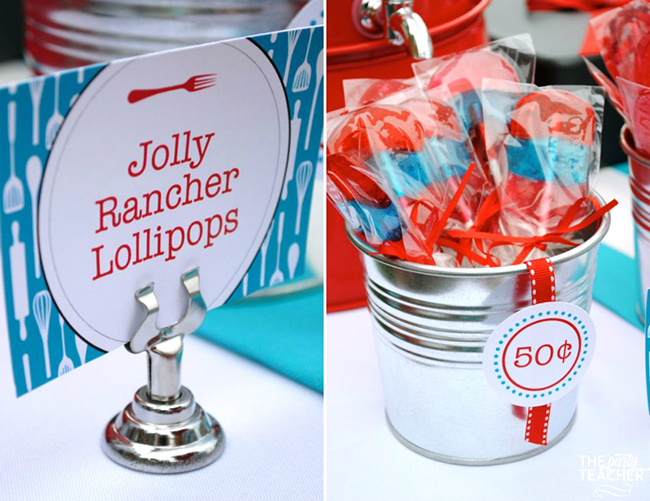 Each item was labeled with a buffet card. 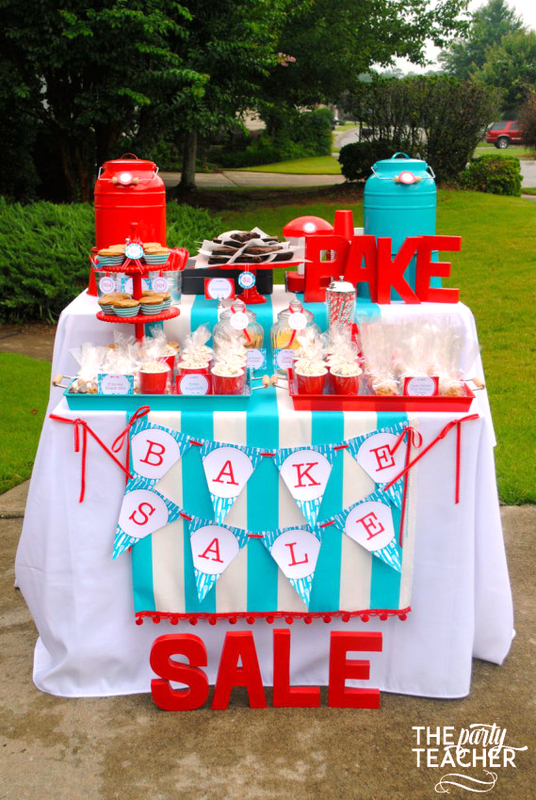 Learn how to set up a bake sale – from planning to advertising to pricing, not to mention making your bake sale pretty! – at The Party Teacher! 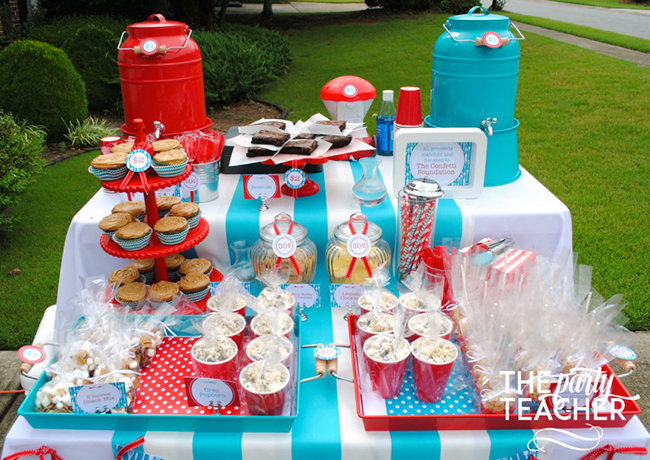 Shop for personalized Cooking Theme party paper goods and printables here. 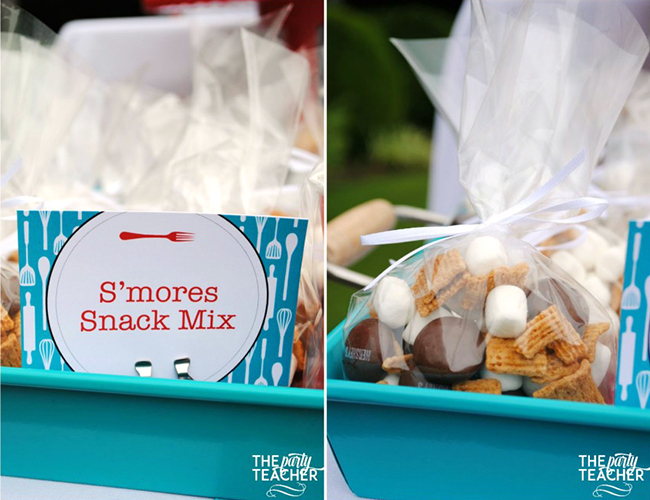 Or, check out more Cooking Theme party ideas on Pinterest or here on my blog! 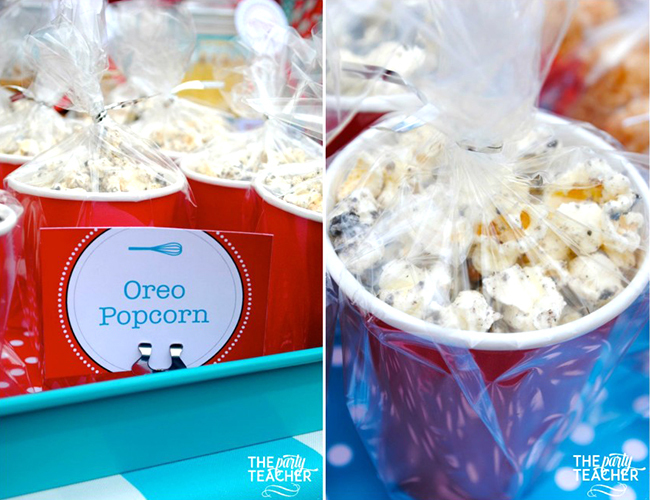 Great party ideas was great to look at give inspiration. I own a fancy dress/party shop and I love looking at new party ideas so I know what the customers like.